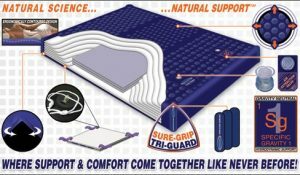 InnoMax produces and distributes hardside waterbeds under three brands: Genesis, Sanctuary and Luxury Support. Together, there are 20 models currently listed. These mattresses are priced lower than softside waterbeds, but that does not include the cost of the wood frame. However, frames and platforms are most often sold as furniture, allowing the customer a great deal of choice. Also often sold separately are liners. Mattress, liner, and frame must be considered together in calculating the cost of a hardside waterbed. However, if you already have a frame, the average cost of a hardside waterbed is much less than that of most innerspring, latex or memory foam mattresses. 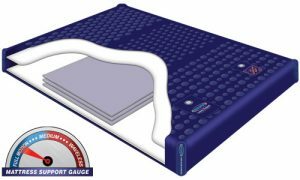 One InnoMax hardside water mattress model, Sanctuary SGL Free Flow, is free-flow (full wave) with no baffles or fibers to impede movement of the water. 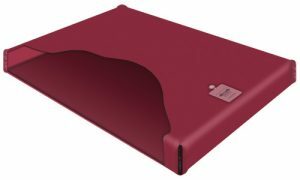 Some users prefer this, because it provides the maximum conformity and spinal support of any waterbed configuration. It was free flow waterbeds that rapidly became popular 45 years ago. The other models use one or more layers of fiber to moderate the wave action of the water. Increasing numbers of layers progressively inhibit water motion until the matttress is waveless. This, essentially, is how models are defined within a brand. Each brand has its own amenities, which accounts for the price differences between one InnoMax waterbed brand and another. For instance, among 2-layer models at one retailer, the Genesis 400 ST is $114.99, the Sanctuary SF-2 is $179.99, and the Luxury Support LS 2300 is $189.99. All InnoMax hardside waterbeds with fiber-fill layers have the "4-Way Corner Tethered Support System." Each corner of the fiber layers, which begin at the top of the chamber, is tethered the bottom of its corner of the mattress. The tethering is more sophisticated in the Luxury Support models,with a hook-and-eye anchor. Sanctuary models add a mid-body layer for extra stability and support, while Luxury Support (LS) adds 3. Other added features have to do with the seams and layering. For instance, the reinforced corners and seams are bolstered progressively more from Genesis to LS. While many users will get by with just a mattress pad between the water mattress and the sheets, those who want more cushioning can add a topper, such as the LS Memory-Cell/Latex Topper. 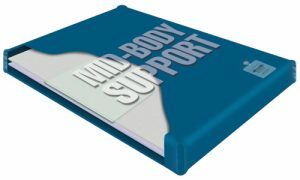 This 2½" thick top section is two-sided, with latex on one side, memory foam (Memory-Cell®) on the other, and resilient Reflex bio-based polyfoam in the middle. The memory foam is waffle-cut on the surface for airflow. The Memory-Cell® side is covered with organic cotton, and the latex side with a blend of bamboo rayon with cotton. Flipping the topper will change the feel. 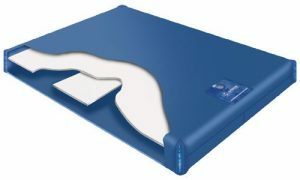 InnoMax hardside waterbeds are available through many retailers, such as Amazon and Wayfair as well as several others. Ironically, they are not carried by The Waterbed Doctor at this time. InnoMax covers its hardside waterbeds with a 20-year limited warranty. Water bladder(s) filled with water for support. Some have wave-reduction fiber layers, some have lumbar support, some have comfort foam padding. Bladder made of heavy-guage PVC.